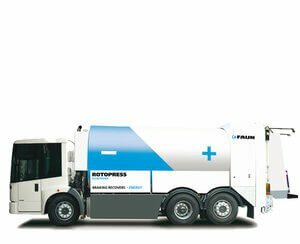 Ultra quiet, highly economical and extremely robust – Welcome to the world’s first waste collection vehicle with diesel-electric hybrid drive! In this time of tight budgets and high energy prices, sensible economic decisions like hybrid-power are more important than ever. 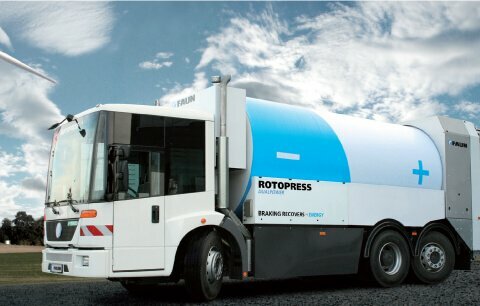 The engine of a waste collection vehicle has to perform with great versatility during its working day. With the Dualpower option, FAUN has created an optimised power train with its own diesel-electric power unit that stores the energy otherwise lost when braking and sensibly reuses it to carry out the various work processes required when collecting waste. 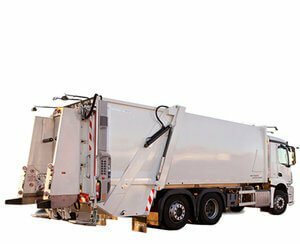 Standard operation of a refuse collection vehicle sees the truck itself being used for a mere 1.5 hours per day, while the collection body operates for 6.5 hours of the day. Using this knowledge, the FAUN Dualpower Rotopress is designed to switch seamlessly between diesel (truck operations) and electric (collection) drives. This means lower fuel usage, lower noise and less wear on your truck. 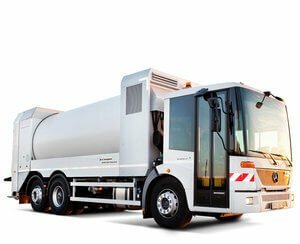 Current estimates place fuel consumption at approximately 40% of the total operating cost of a waste disposal vehicle. With the Dualpower Rotopress, one-third of this cost is saved in daily operation. Strong environmental strategies are now crucial for both government and private companies in maintaining long term credibility. The reduction in toxic emissions achieved with the FAUN Dualpower Rotopress makes a significant contribution to reducing your carbon footprint while not compromising on operational requirements. The FAUN Dualpower Rotopress drive unit operates at 91 dB (A) – barely louder than a speaker talking to an audience. 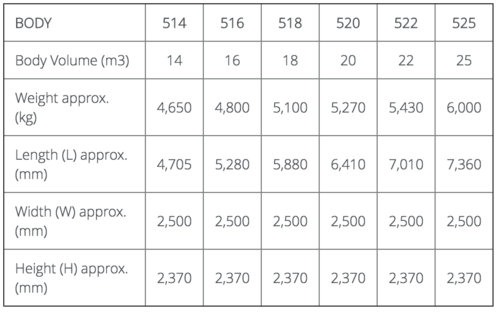 In comparison: conventional waste collection vehicles generate approximately 106 dB (A) – as much as a chainsaw (to the human ear, an increase of 15 dB (A) is equivalent to three times the noise level experienced). Instead of energy-intensive compressed air brakes, the FAUN Dualpower Rotopress is equipped with an electrical braking system that not only promotes energy recovery, but also minimises brake wear. The hybrid diesel-electric design of the Dualpower Rotopress allows for intelligent switching between drives depending on the job at hand. While driving, the diesel engine provides reliable and efficient power to the body, resting while the electric drive provides for all collection activity.